and plump, roasted figs work beautifully with these young grouse. more robust flavours, such as porcini, barolo and smoky meats. of salt. Top up with enough water to just cover the corn. saving 2 tbsp of the cooking liquid. figs are just soft and have begun to ooze a little of their juice. allowing the butter to melt into the cooking juices. Set aside. 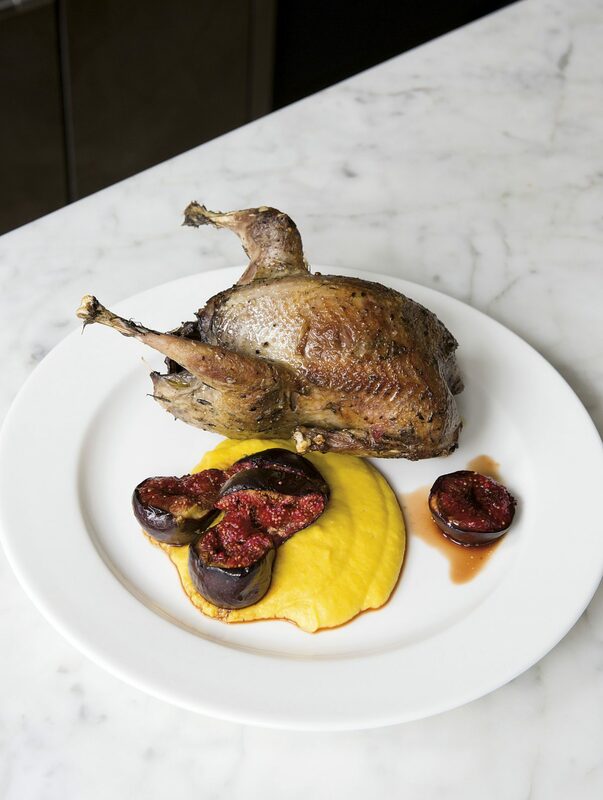 grouse alongside and finish with the figs and their juices.